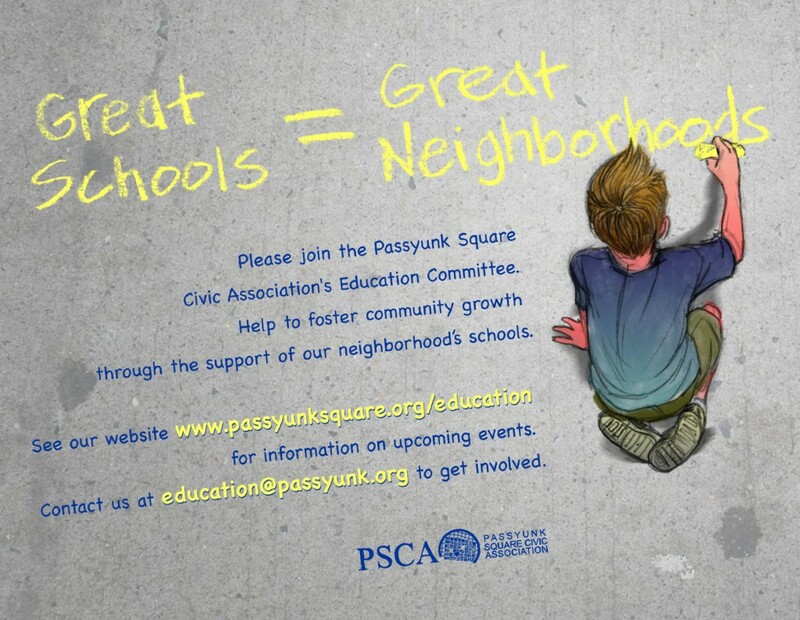 Mission: The Education Committee of the Passyunk Square Civic Association is a vital community partner that cultivates great neighborhood schools in Passyunk Square. A map of Passyunk Square Neighborhood Schools is below and includes an overview of the catchment areas for each of the neighborhood schools in Passyunk Square. The neighborhood high school for Jackson, Kirkbride, and Washington is Furness. The neighborhood high school for Southwark is South Philadelphia. The MLK Day of Service saw several volunteers help out with general cleaning and organizing tasks at the school. In the fall, worked with the South Region Superintendent, Dr. Burnley to develop a Vision Plan for Jackson school, which was warmly received, discussed, and debated and is now the working document from which the Committee sets its goals. If you’re interested in helping, please contact education@passyunk.org.